In recent years, the refrigerator with ice and water dispenser is more and more popular among homeowners, since it can offer cool ice or drink conveniently and save the trouble and money of buying the bottled water. But we must install a refrigerator water filter to ensure that the water and ice is healthy to drink. Why do we need a refrigerator water filter? Different from other water filters designed to remove unpleasant odor and some common sediment in the drinking water, the refrigerator water filters not only reduce chlorine while retaining the beneficial fluoride, but also eliminate other contaminants, such as particulates, rust, lead, cysts, asbestos, mercury and more, so that we can enjoy the crisp, tasty and clean water and ice cubes. Water plays a such a vital role in maintaining our life that we really deserve a premium water filter! 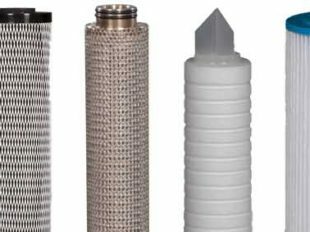 How does a water filter work? Why do we need to replace it regularly? There is activated carbon located inside the filter, which is used as the filtration medium. Once the water flow through the water filter, the contaminant will be trapped immediately by the carbon. As the lifespan of the activated carbon stops purifying the water, or even becomes a breeding ground for bacteria. When should we replace the refrigerator water filter? Most manufacturers recommend that the filter should be replaced every six months to avoid the risk of drinking unhealthy water or ice. Actually, when to change the filter depends on the operating frequency and the quantity of contaminants in the water. Here are some reliable ways that can let you know when to change your refrigerator water filter. Accept manufacturers’ suggestion: replace your water filter every six months. Observe the indicator light. The refrigerators with a water or ice dispenser is often equipped with an indicator light which glows when the filter needs replacing. Keep an eye on the taste. If the water or ice tastes funny, you’d better change the water filter. Pay attention to the flow. When the water flow slowly or the icemaker produce very few ice cubes, you must realize that the filter is blocked and should be replaced. How to buy and install the new refrigerator water filter? The most convenient way of buying a new water filter is shopping online, and we Clatterans can provide you fast shipping, unquestionable quality, unbeatable low price and specific introduction about how to install your new refrigerator water filter. As not all the water filters are compatible for our refrigerator. We need to purchase the right filter according to the fridge model number. When installing the filter, we must first find out the filter’s location. Different types of refrigerators have different locations, including the base, the back or the inside of the fridges, but the approach to changing a filter is the same. Click here and see how to replace your refrigerator water filter step by step. Why should we choose Clatterans? With an ambition to provide healthy water for more family, Clatterans has launched a huge selection of fridge water filters which are compatible with Amana, Jenn-Air, Kenmore, KitchenAid, Maytag, Whirlpool refrigerator and more. Featuring fast shipping, unquestionable quality and unbeatable low price, the water filter here is designed to allow you to rest assured that the water from your refrigerator is 100% pure to drink. Explore your best refrigerator water filter now and shop one to let you and your loved ones drink healthy water every day!